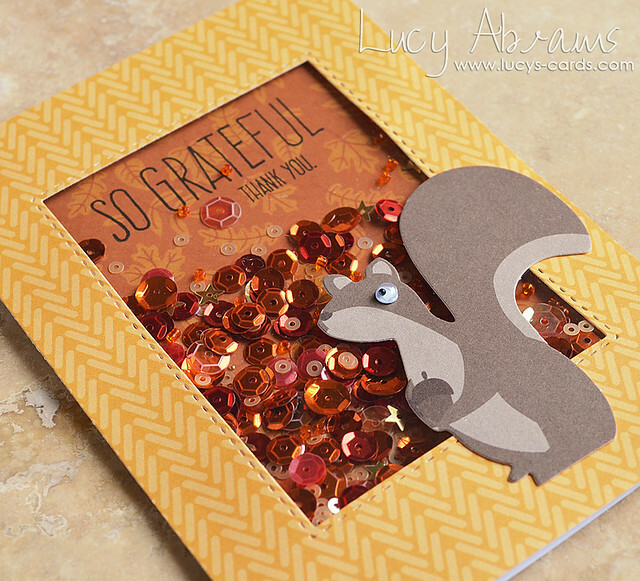 For my first card, I created a simple shaker window with papers from the kit, added some of my Fallen Leaves shaker mix, a sentiment from the kit's stamp set, and the squirrel. I had to do some stamp surgery to create my sentiment - the original message had rather a Thanksgiving feel, and since we Brits do not celebrate Thanksgiving, I chose to adapt it to make it a more general thank you message. 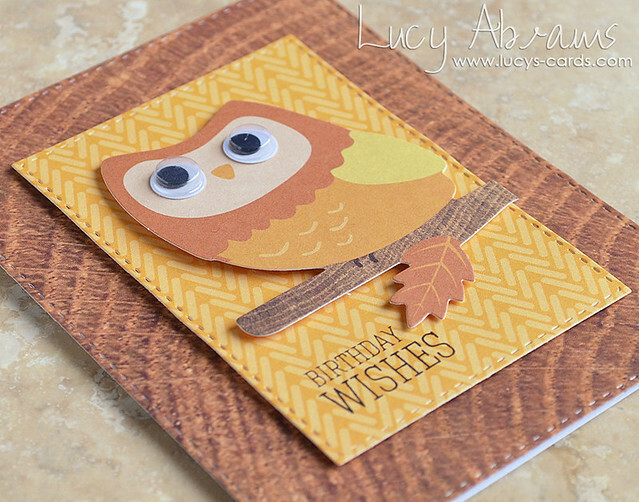 And my second card - a super simple masculine birthday card. 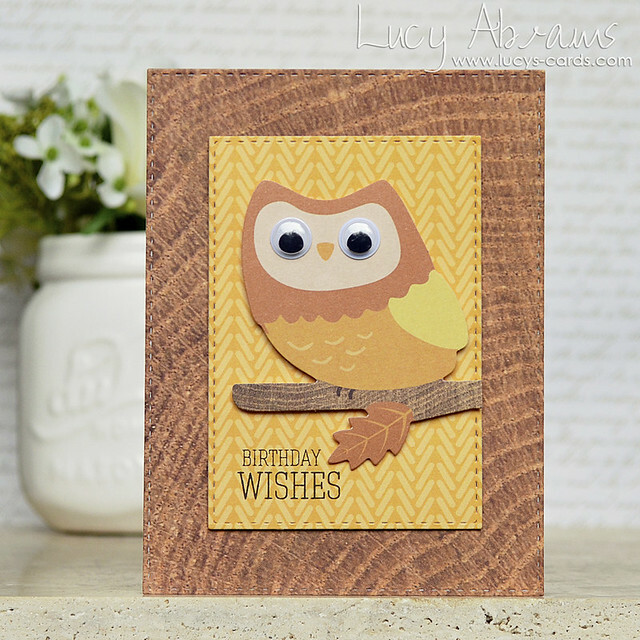 I added a sentiment from Simon's Best Hugs stamp set. You can find this fun kit HERE. both of these cards are super cute! Oh my, adorable cards. That shaker mix is gorgeous. Must have been one I missed in your shop.